To add a link to a button, simply click on the button to display the options. From the 'Link to' drop-down select 'Document'. This will reveal a button 'Upload Document'. Click this and you can upload your document. 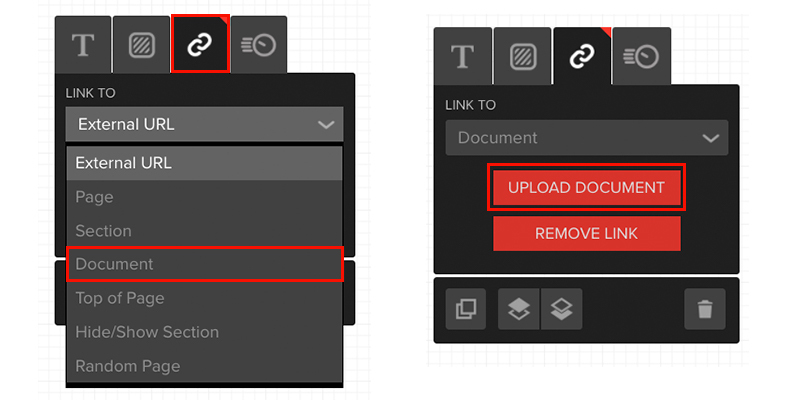 We recommend using PDF's however you can upload a range of document types. * Please note that to make the button appear like text in a paragraph, you can set the background to transparent and add as much text as you like.